Our unique cloud based technology allows our telco clients to leverage their existing wireless network infrastructure for video delivery by using our customizable CDN, without having the need to acquire one from a third party vendor. 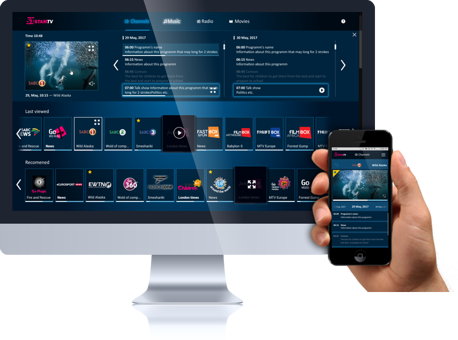 Cast-TV has an OTT solution based on advertising generated revenue that can offer over 200 channels. Through its proprietary content crawler, it has the capacity to aggregate 50 million video items within a 24 hour period on any subject and automatically generate independent thematic TV channel, all running 24/7.